On October 4, 2017, CPDA President Sue Ferenc sent a letter to Thomas Galassi, Acting Deputy Assistant Secretary of Labor of the Occupational Safety and Health Administration (OSHA), requesting a 2-year extension of an impending December 1, 2017 deadline under the 2012 Hazard Communication Standard (HCS 2012) for the relabeling of non-pesticide agricultural products, under the control of a distributor, that are packaged in sealed containers and stored in warehouses. The deadline is set forth under OSHA Directive Number CPL 02-02-079, issued on July 9, 2015. The October 4 letter follows a September 19, 2017 meeting with William Perry and Maureen Ruskin, Director and Deputy Director, respectively, of OSHA’s Directorate of Standards and Guidance, during which CPDA staff conveyed the Council’s concerns regarding the December 1 deadline. CPDA representatives explained that while OSHA had indeed granted temporary relief from the original deadline of December 1, 2015, such relief was limited in scope and duration and did not fully take into consideration the unique way in which non-pesticide agricultural products are sold and resold in the agricultural chemicals marketplace. CPDA representatives asked OSHA to consider granting an extension of the deadline in the form of an amendment to its Directive that would apply specifically to products of extremely long shelf life including tank-mix adjuvants, plant nutritional products (i.e., biostimulants and biorationals), soil amendments and fertilizers in end-use containers (bags and jugs). As reported previously, CPDA has engaged extensively with OSHA on advocating for changes to HCS 2012 that would stipulate that sealed containers in warehouses would not have to be relabeled based on new hazard information if an updated label is transmitted electronically to downstream entities as is allowed for updated safety data sheets. Throughout these discussions, OSHA officials have been open to considering the Council’s suggestions for possible modifications to the regulation and hinted the possibility of incorporating this in future rulemaking aimed to better align HCS 2012 with the sixth revision of the Globally Harmonized System of Classification and Labeling of Chemicals (GHS). CPDA is drafting comments for submission to an OSHA open docket that will urge the Agency to follow EPA’s “Released for Shipment” precedent to prevent the need to relabel compliantly labeled pesticide products once manufactured and released for warehousing and distribution. CPDA will also encourage allied associations representing affected members of the chemical manufacturing and distribution industry to submit similar comments to the docket. 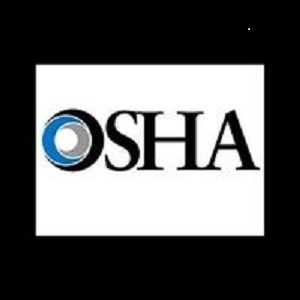 In the meantime, CPDA will continue to work with OSHA in securing that extension to the December 1st deadline for compliance with the Directive. To read a copy of the October 4th CPDA letter, please click here.